Absolutely unique pendant with a beautiful chain. 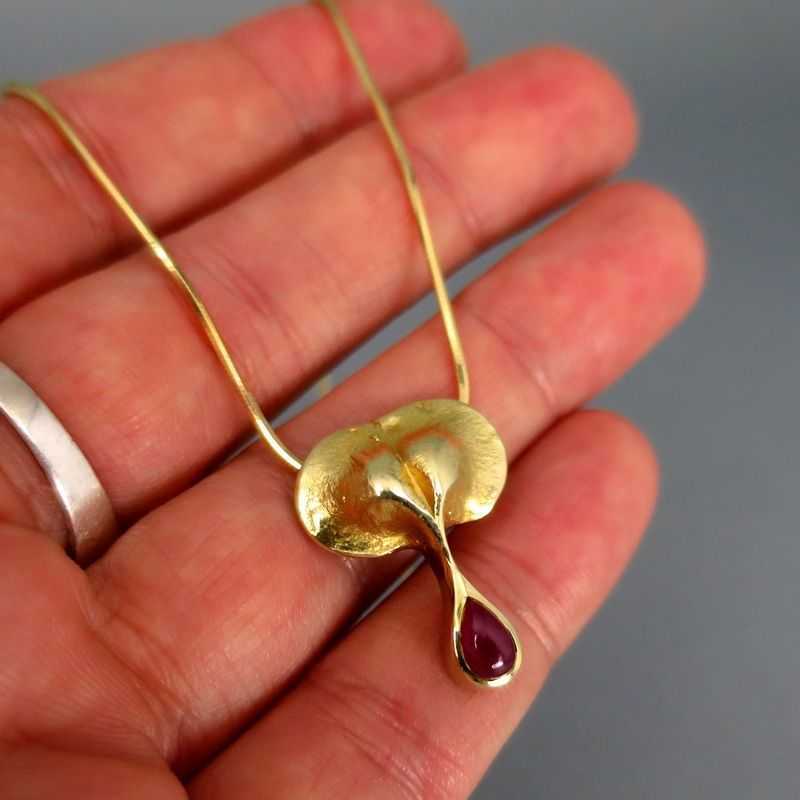 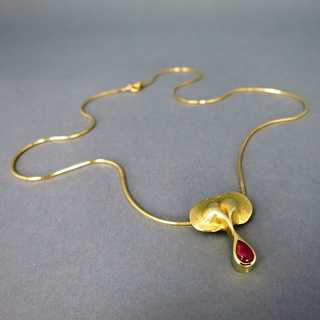 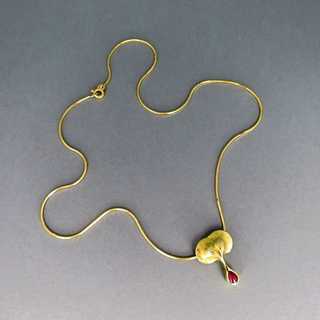 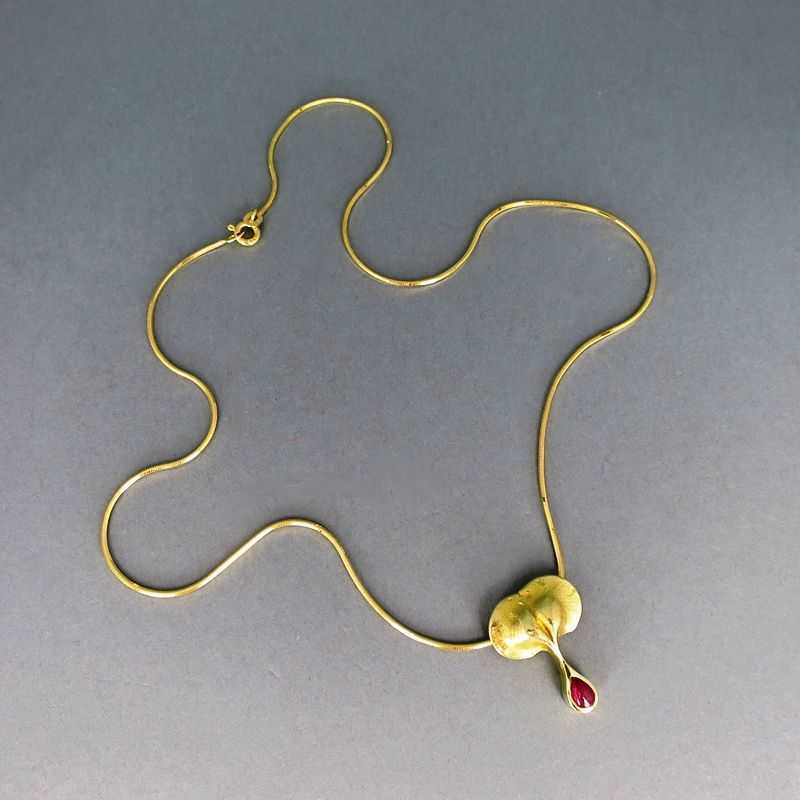 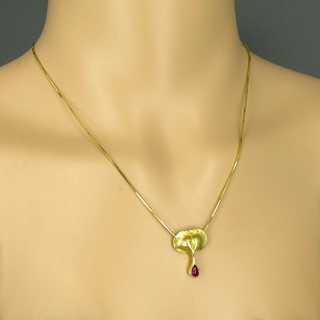 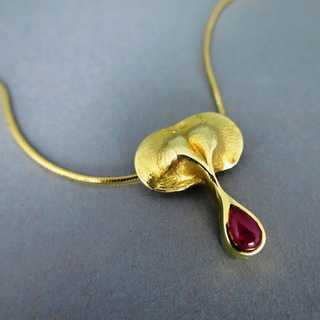 The pendant has the shape of a heavy stylized ginkgo leaf and is decorated with a red ruby drop. 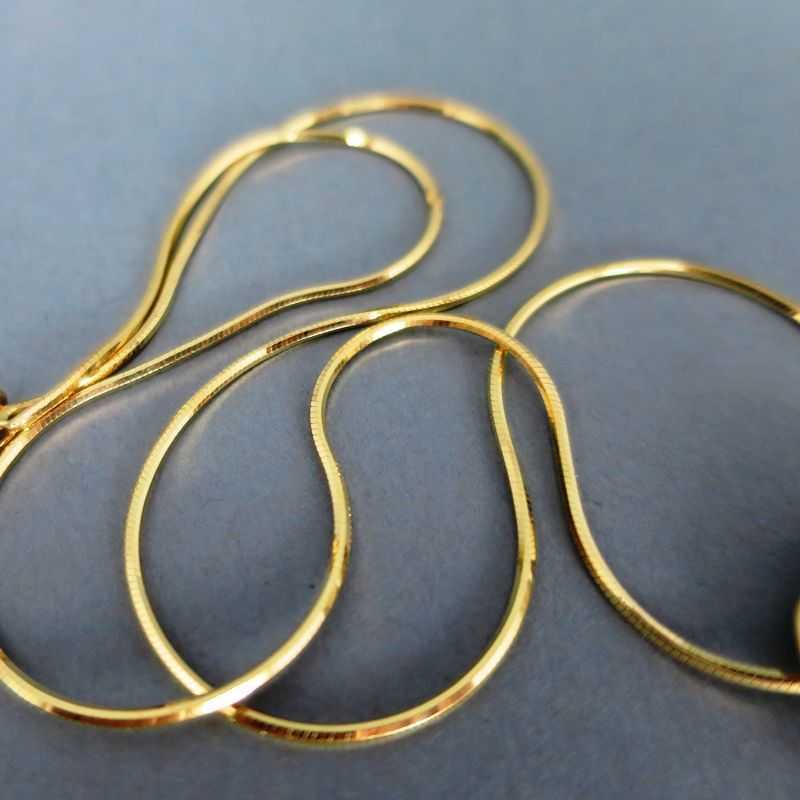 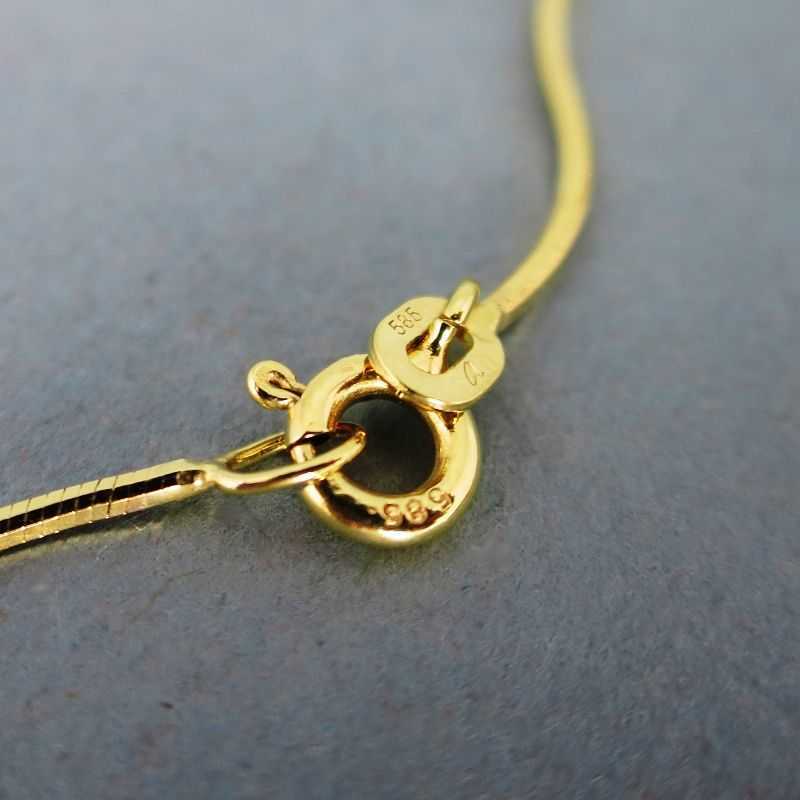 The elegant snake chain has a spring ring closure. 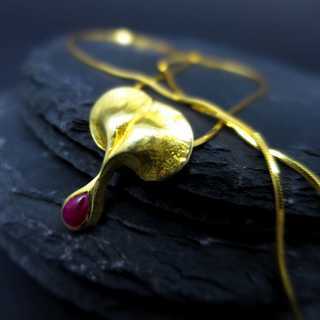 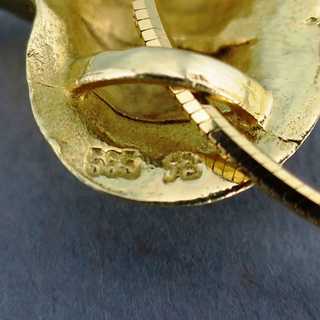 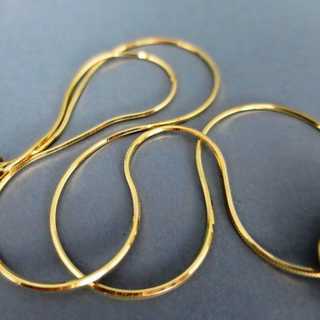 The pendant was fully hand made in a goldsmiths atelier.